Do you ever feel like you want more from your life—but get scared or overwhelmed by the idea of making changes? For many, worry, fear, or negativity are stumbling blocks that can be extraordinarily difficult to overcome. This effective workbook provides a blueprint to help you move through painful emotions without being ruled by them. Vivid stories of others who have struggled with anxiety are accompanied by meditation and acceptance practices and step-by-step exercises that build self-knowledge and self-compassion (you can download and print additional copies of the worksheets as needed). Armed with a deeper understanding of what you really value, you can break free of the common traps that leave people feeling stuck—and dare to live the life you really want. Audio downloads of the mindfulness practices, narrated by the authors, are provided at www.guilford.com/orsillo2-materials. See also the authors' Mindful Way through Anxiety, which explains mindfulness techniques in greater detail. 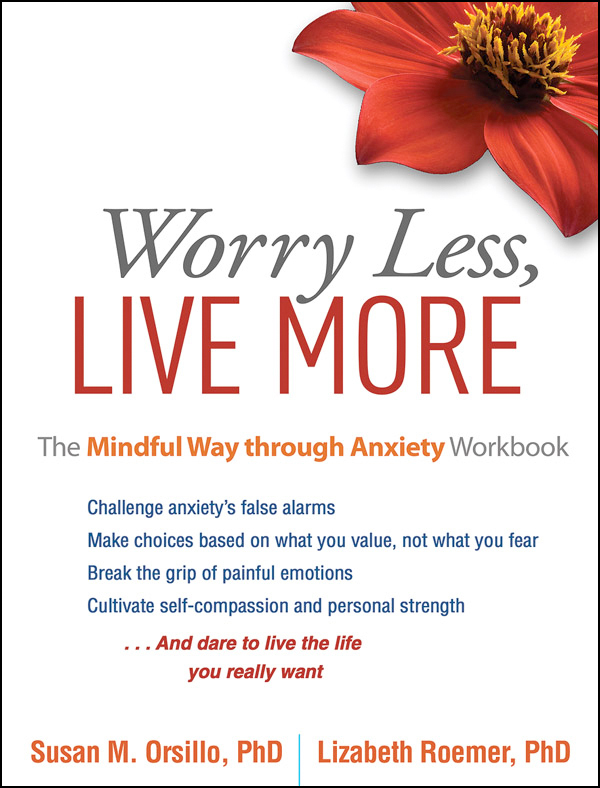 Worry Less, Live More can be used on its own or as the perfect way to expand on and enhance the lessons of the first book using a step-by-step approach.